With very inexpensive premium sedans and high performance ones covered in the previous instalments of Cheap Thrills, we now take a look at luxury sedans. With a budget of up to Rs 15 lakh, we take a look at used cars that could prove to be the most comfortable way to travel without breaking the bank. One of Audi India’s bestseller might be due an update, but it’s certainly no less talented than the current competition. The pre-facelift examples of the Audi A4 are available in our budget, and as long as you get full sales history of the car, it makes for a pretty sweet deal. 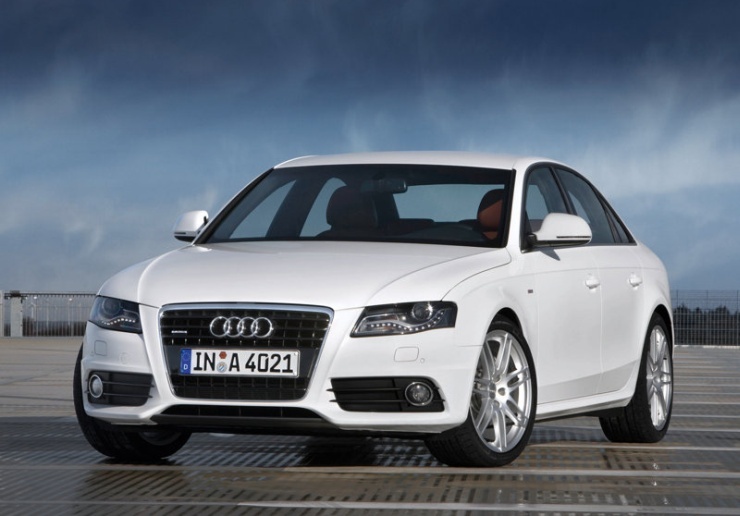 Both petrol and diesel engine options were available, and the popular versions came devoid of the quattro AWD system. That’s not exactly a bad thing, because the smaller diesel engine equipped version is economical to run, and not any different in the back seat. Inside, the interior is a testament to Audi’s fit and finish. The seats are comfortable, and the ride equally so. It isn’t driver orientated, so you might be disappointed behind the wheel, but apart from that, the Audi A4 feels like a complete package. Prices for both petrol and diesel examples from 2009 hover around Rs 13.5 lakh mark. The quattro equipped cars are more expensive (and so is the S4), so steer clear unless you want AWD and more power. Much like the Audi A4, the pre-facelift version of the previous generation C-Class is also available in our budget. The understated styling, luxurious interior, and the brand value all speak in favour of the Mercedes Benz C-Class. Being a Mercedes Benz, the ride is pretty sorted, too. In fact, it’s class-leading. The interior might look dated in comparison to the current C-Class but it’s a very nice cabin to be in. Use of light colours make the cabin appear larger, which is a good thing indeed. Engine options includes diesel and petrol, but choose the diesel if you’re going to use it for everyday commutes. 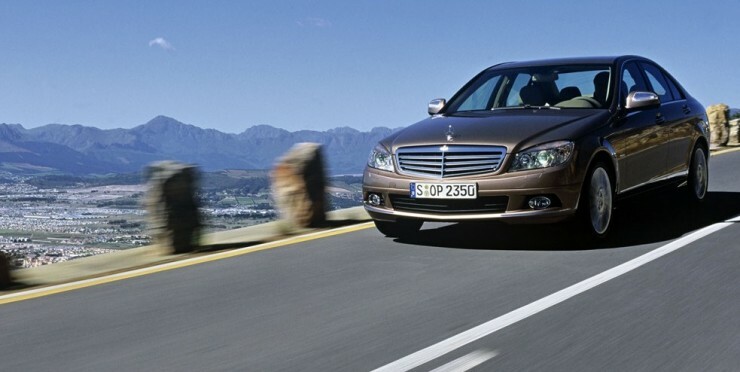 But unlike the Audi, the C-Class comes with a rear-wheel drive configuration. So while it might not beat the 3-Series in terms of driving dynamics, the C offers a nice balance. The pre-facelift cars, from 2008 and 2009, are priced between Rs 12.5 and 13.5 lakhs. Continuing with the trend, we should have mentioned the E90 3-Series, but, the 5er isn’t just larger, it also fits perfectly in our budget. So let’s leave the 3 and get to the 5. 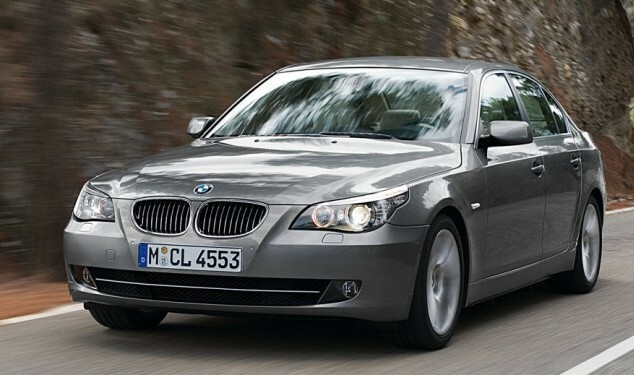 The car, unlike any other 5 series before it, is very different to look at in comparison to its brethren at that time. And exclusivity isn’t the only thing the E60 generation of BMW 5-Series brings with itself. First it’s larger, so there’s decent room on the inside. Secondly it’s a luxury car but made keeping the driver in mind, so if you are going to give the chauffeur a day off, this is the car you’ll love to take to office. The 4-cylinder engines shared with the 3-Series offer great economy but aren’t as much fun as the straight six units. Choose one of the latter (even a diesel would do) and you’ll attain BMW nirvana, almost. And unlike the other premium cars, this one’s going to to stand out. Always. Expect to pay anywhere between Rs 12.5 to 14 lakhs for an example from 2008-2010. Sadly most of these are high mileage cars (most of them have done 70,000 km or so). The German premium trio might keep the style quotient high, but it’s no secret that maintaining these will be a slightly expensive affair. On the other hand, a Japanese equivalent of these might could keep the expenses low without really harming either luxury or the premium feel. That’s what the Camry does. 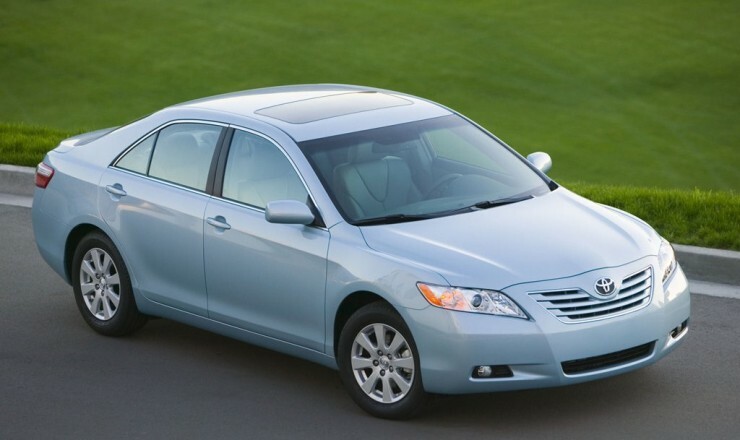 Keep in mind that since Camry boasts the kind of mechanical reliability and longevity other cars can only dream of, having a service history is the right place to start. In terms of driving, Camry is nowhere close to the BMW 5-Series, but in terms of comfort and ease of use, it can really challenge the other cars here. It’s still a less popular option, but one that makes a lot of sense. Look away if you’re looking for a diesel, though! Prices vary from mid 6 lakhs to about Rs 8 lakh; mileage varies from 55,000 to 70,000 km. Not a lot of examples of the current generation car (pre-facelift) are on sale, and the ones that are there are priced a bit too high. The previous generation car (pictured above) was launched during the last decade, and you can find decent examples from the 2007-2009 period. Another Japanese, and one that has been present in the other two Cheap Thrills lists, too, the Honda Accord. Positioned against the Camry in the market, the Accord was offered with a 2.4-litre engine or a more powerful 3.5-litre V6 engine. The former is easily available while the later has more power, and understandably, offers not as great fuel economy. The ride-oriented suspension isn’t stiff, which might make it less fun to drive, but gives the Accord a very good ride quality. And it’s not too old, either, so spares aren’t likely to be an issue. Also, given its low age, it could be the easiest to live with, too. The car was discontinued not too long ago, so you can still get rather recent examples priced near the Rs 10 lakh mark. Older examples (say from 2008, 2009) with about 55,000 km on the odo are available closer to the Rs 7 lakh mark. The Accord V6, although rare, has another trick up its sleeve. You can run it as an everyday mode of transport, but should you get bored of sitting in the back seat, get it a better suspension system, and voila, you’ll get a very fast Honda that can easily cope up with your increased enthusiasm. And all that without spending a lot.